Imtech UK’s Water, Waste and Energy business is under threat of administration after having been excluded from Endless LLP’s management buy-out of the UK operation. 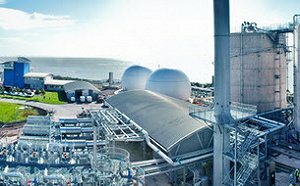 Having worked on schemes including Crossness Sewage Treatment Works and the Howdon Advances Digestion Plant, the division works in strategic planning, design, construction and commissioning of mechanical engineering systems, and operates and maintains the company’s UK infrastructure assets. Dutch parent company, Royal Imtech NV, filed for bankruptcy in August, and the UK division was saved after investment from Endless LLP. Whilst 2500 jobs are expected to be saved by the deal, 69 jobs are at risk at Imtech Water, Waste and Energy unless a separate buyer is found. It is understood that talks are ongoing over the future of the business with joint venture contractors such as Laing O’Rourke and Galliford Try potentially taking on some of the staff directly. It is suspected that project losses within the WWE division may have contributed to the decision to exclude it from the refinancing deal, caused by the completion of older, larger contracts and delays on new project starts. These problems were highlighted recently in the main Imtech Group half-year results.